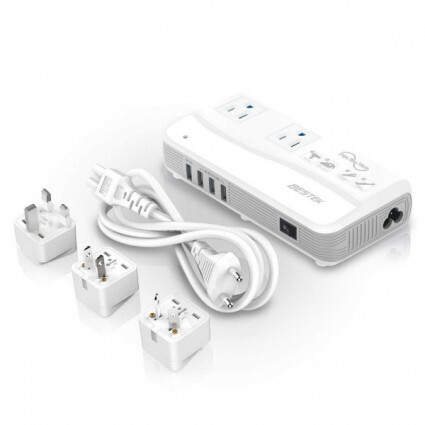 Convert overseas voltage from 90-220V to 110-120V and powers up your US electronic device safely. 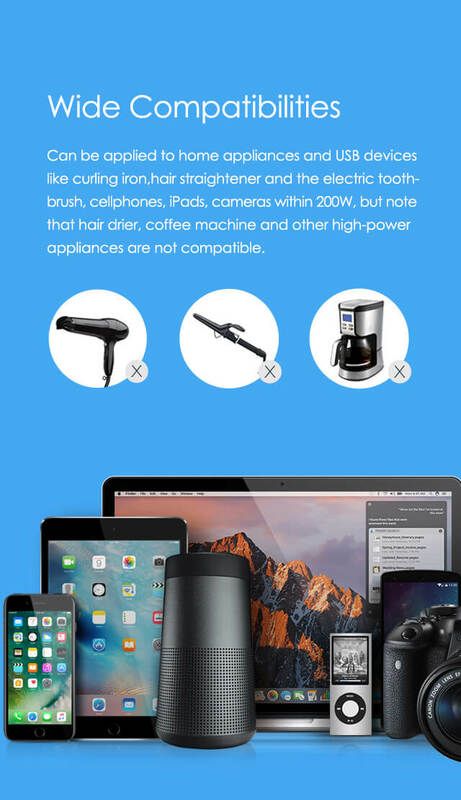 Specifically, can work with your curling iron, hair straightener, electronic toothbrush etc. with pure sine wave tech. It worked really well and I wouldn't travel without it again! There *is* a slight whir, but it's kind of similar to a white noise machine so I didn't mind it. 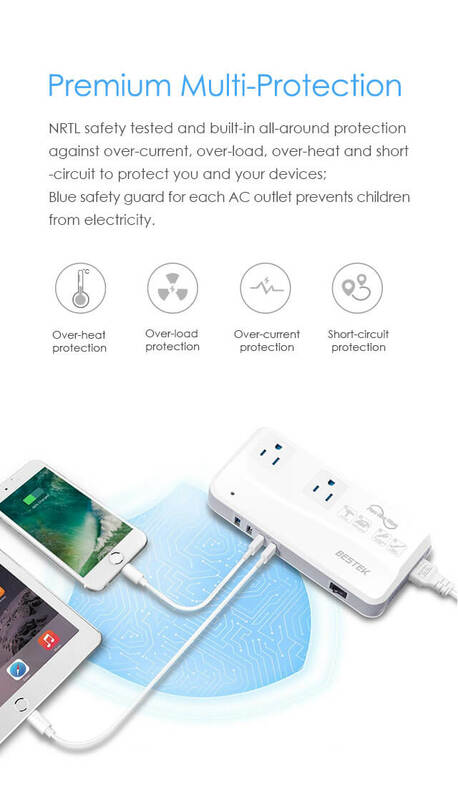 If you're travelling abroad and you have a family who needs to charge all their gadgets, then you NEED TO BUY THIS Portable charger universal adapter travel converter from Bestek. It's totally plug and go. No need to hunt all over for all the outlets that a family (of three) needs. I plugged two iPads and two iPhones at the same time without any issues. 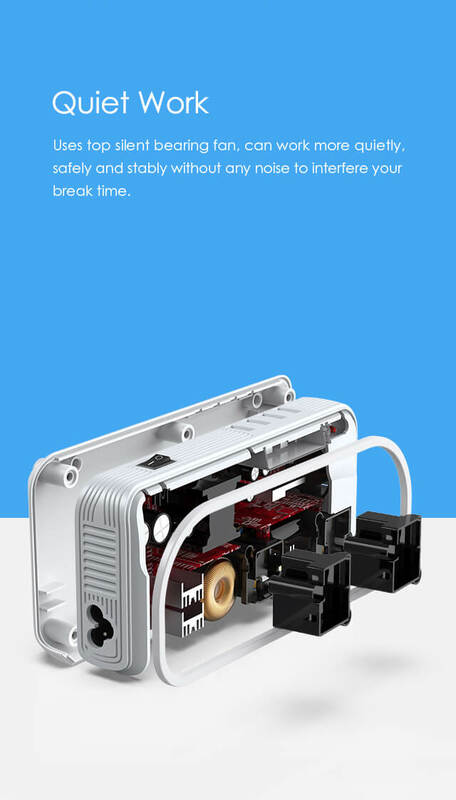 It worked as good or better than any expensive unit. I am a photographer and had a lot of batteries to keep charged. These units did the trick! Highly recommend!! 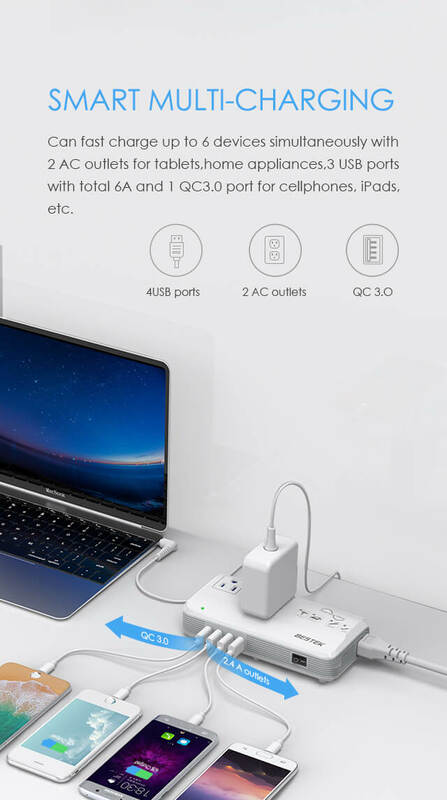 Easy to use, easy to set up and has a built in fan that kept the device cool even though at no time did it feel hot with having 4-6 items plugged in at once. PERFECT for my trip. I don't travel light, so I needed something that could deal with a few things charging at once. The USB ports worked great as well. Excellent adapter. We used this adapter for the last month throughout Nepal and India and had no problems with our 110v items. I bought this for my trip to the philippines. worked perfectly. having the extra USB ports helps save space from carrying the AC adapters. 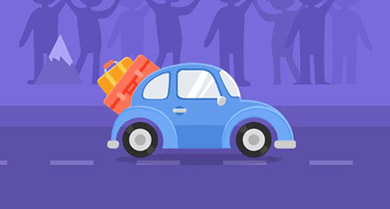 I’m looking for a travel converter for my travel to Italy. 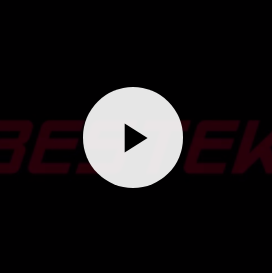 Many friends recommended me BESTEK power converter. When I went to its store and just found the pure sine wave converter, it is an updated one and can make charge safer. I tried this one and it works fine. Worth the money. This is the first pure sine wave travel voltage converter I ever found. 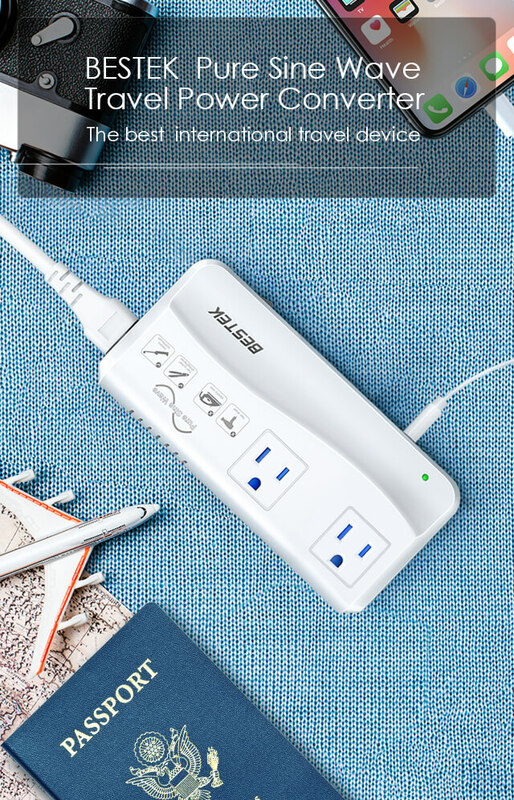 It is not suitable for large appliances, but pretty good for devices within 200W. I used it last week. My electric hair straightener works well with it. Love it. 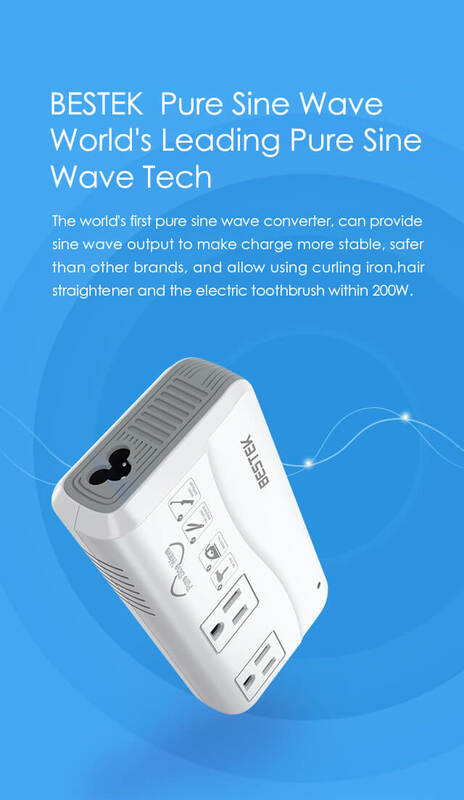 I have used BESTEK pure sine wave power inverter one year ago and when I saw the pure sine travel power converter, I tried it, too, as I just need one for my business travel next month. Fast shipping and it looks all well. 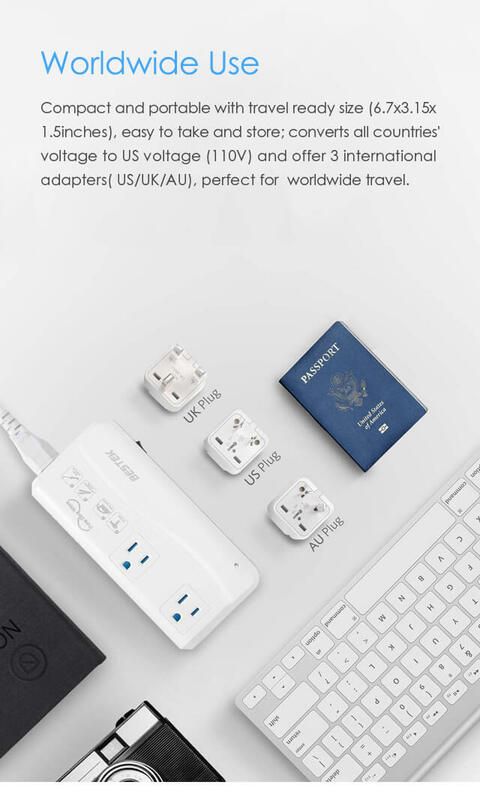 Three travel plug adapters are just great for travel anywhere you go. I’m now all ready for my travel.